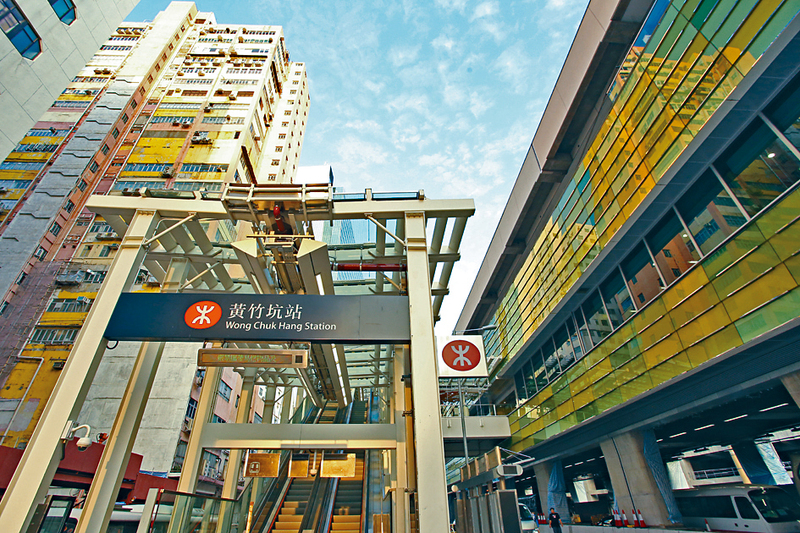 MTR Corporation (0066) received five tenders for its Wong Chuk Hang Station phase three development project, including bids from CK Asset Holdings (1113) and Sun Hung Kai Properties (0016). The site was estimated to be worth HK$30 billion, and would likely become the most expensive tender development project of the MTR. Response was not as popular as expected. Tenders received for phase one and two were 14 and 10. Alvin Lam, surveyor of Midland, said it is understandable because the investment amount for the development is much bigger. However, development potential is also greater. It would include shopping malls of 505,908 square feet gross floor area and residential properties of 999,976 square feet, Lam said. The project could accommodate as much as 1,200 residential units and 426 parking spots. Chinachem Group and Henderson Land Development (0012) were also on the tender list. Meanwhile, from today to August 16, developers can register their interest in the development of the Castle Peak Road/Un Chau Street project in Sham Shui Po, the Urban Renewal Authority said. The project would provide a maximum total gross floor area of about 14,840 square meters. My Central, a project co-developed by the URA and CK Asset Holdings (1113), recorded a deposit forfeiture - HK$2 million was surrendered by the buyer. It was reported the 674 sq ft unit was sold by contract for HK$20 million. Meanwhile, a car parking lot at The Wings in Tseung Kwan O was sold for HK$3.33 million, the most expensive in the district, whilst a spot at Hemera in Lohas Park changed hands for HK$2.55 million. The previous owner brought it for HK$2 million, recording a HK$550,000 profit. Sun Hung Kai Properties (0016) launched an additional 54 apartments for pre-sale at the Park Yoho Milano project in Yuen Long. The latest batch is priced at HK$15,489 per salable square-foot after discounts. The developer is to put a total of 131 units on the market. Application is open until Friday afternoon. Meanwhile, Arthur Li Kwok-cheung, a member of the Executive Council and the chairman of the Council of the University of Hong Kong, was reported to have sold two units he owned at Taikoo Shing in Quarry Bay. He brought the units separately in 1994 and 2004.